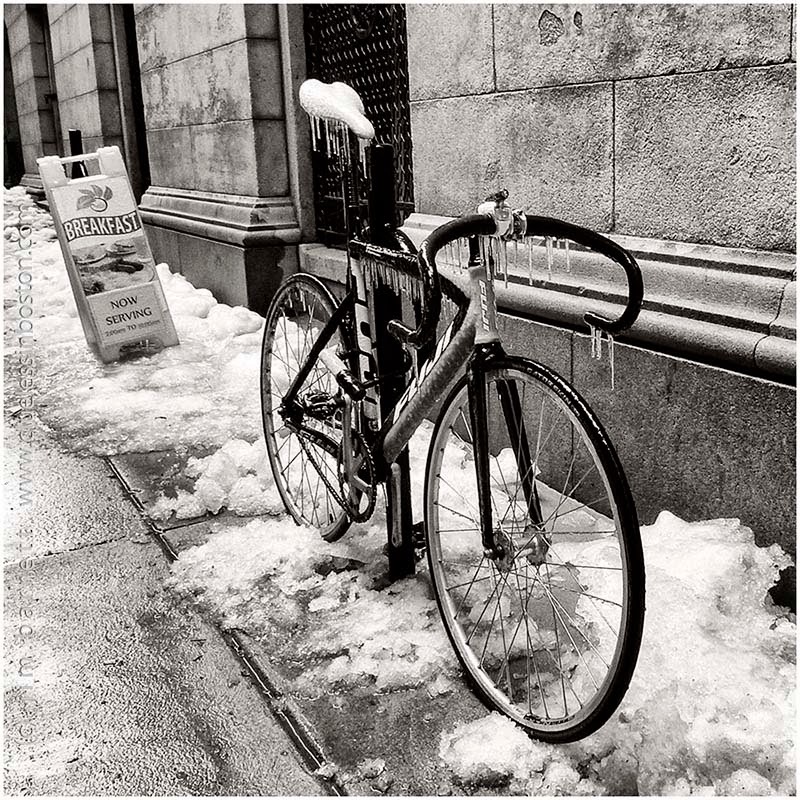 It's been a difficult winter in Boston this year, especially if you bicycle to work. very unusual (at least to my eyes! )I would not dare biking through so much snow and ice! I hope the biker has a hearty breakfast before beginning the trek home. This looks great in black and white. Well spotted, I think I'd take the breakfast. Oh dear, I hope that isn't just rust once it thaws.